A group of former Nokia employees are working to revive the abandoned MeeGo operating system, now resurrected as Sailfish and teased it on the company's website this week. 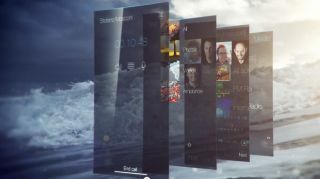 In a YouTube video posted Wednesday, Finnish startup Jolla introduced the world to Sailfish, a new mobile operating system created from the ashes of MeeGo. The minute-plus video offers the first peek into the company's slick new user interface, which attempts to blend the best elements of Windows Phone and Android, with a dash of BlackBerry 10 style thrown in for good measure. The familiar Android icon also makes a brief appearance in the video - Sailfish includes a standalone app allowing it to run Google's open source platform on top of its own. The brainchild of Intel, Nokia and Samsung, MeeGo was unceremoniously abandoned by Nokia following the release of its N9 handset, the only device ever launched with the mobile OS. Jolla then picked up where Nokia left off, raising an impressive €200 million (US$258, AU$252.8, UK£160) last summer from a Hong Kong-based alliance to make its mobile ambitions a reality. According to the video, Jolla plans to officially take the wraps off Sailfish in 2013, with the Sailfish Software Development Kit now available for interested developers. Jolla faces the same uphill battle that MeeGo did against iOS and Android, now further complicated as Nokia gains traction with new Windows Phone 8 handsets and the forthcoming BlackBerry 10 attracts interest from carriers.